The American Health Council honors Anna-Liisa Brownell, Ph.D. for her academic and research contributions to healthcare. Currently serving as a Professor of Radiology at Harvard Medical School and an Associate Physicist at the Massachusetts General Hospital in Boston, Mass., Dr. Brownell serves as an educator to future generations of radiology scientists. Dr. Brownell has served as a research scientist in medical physics at the Massachusetts General Hospital for 38 years. Possessing a thirst for knowledge, Dr. Brownell’s interest to pursue a career in the educational medical field stemmed from her interest in physical methods used to analyze tissue structures. While eventually earning a Ph.D. in physical methods from the University of Helsinki in Helsinki, Finland in 1974, Dr. Brownell, served as a clinical physicist and chief medical physicist at the University Central Hospital of Helsinki from 1969 to 1989. Her brilliance led her to become a nuclear medicine physicist at Massachusetts General Hospital — a career she credits to natural progression — where she performed medical imaging, research and training. 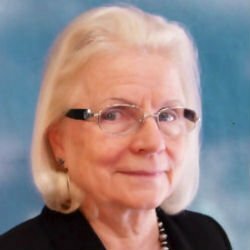 Throughout an impressive 50-year career in the medical and educational field, she gained extensive skills in medical imaging techniques, making her an invaluable member at both Massachusetts General Hospital and Harvard Medical School. Additionally, Dr. Brownell organized several research projects and obtained their funding from the National Institutes of Health and the Department of Defence. Proud to be a successful woman in the field of physics, Dr. Brownell’s research projects were published in a variety of peer-reviewed studies for others to read. Her brilliance led her to earn the Lifetime Achievement Award from the World Association of Radiopharmaceutical and Molecular Therapy in 2012, as well as an Distinguished Investigator Award from the American Academy of Radiology in 2015. She credits her success to her strong work ethic and ability to focus on tasks at hand, to ensure that she remains informed on current breakthroughs and to contribute some of her own. Dr. Brownell is a certified Medical Nuclear Physicist by the American Board of Radiology and a certified Medical Physicist including the Diagnostic and Therapeutic Radiology by the Finnish Board of Hospital Physicists in Radiology. Dr. Brownell plans to pursue further research regarding human studies in the next five years of her career. In her free time, she enjoys gardening and traveling. She contributes to Big Brothers and Sisters of America and the Animal Liberation Front, an international organization that aims to establish animal rights. Guided by the needs of its patients and their families, Massachusetts General Hospital aims to deliver the very best health care in a safe, compassionate environment, to advance that care through innovative research and education and to improve the health and well-being of the diverse communities it serves. Established in 1782, Harvard Medical School began with a handful of students and a faculty of three. The first classes were held in Harvard Hall in Cambridge, long before the school’s iconic quadrangle was built in Boston. With each passing decade, the school’s faculty and trainees amassed knowledge and influence, shaping medicine in the United States and beyond.